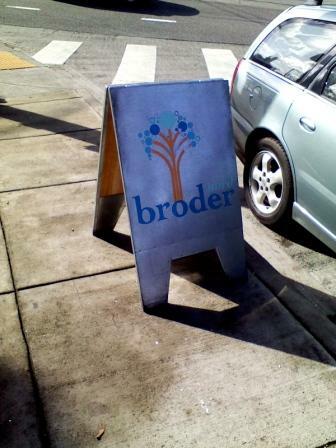 Broder Nord. Portland, OR | Discovered ... Right Here! I really like the Triple A magazine Via. The six issues each year cover so many interesting places along the west coast and have given me many good ideas for my own travels. I also love food, especially good ethnic food. In the November/December Via issue’s On the Road section, I spotted a photo of Aebelskivers, Danish pancakes. When I read that they were being served at a Scandinavian restaurant right in Portland, I just had to go. 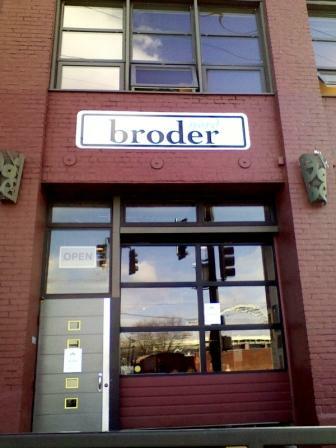 The restaurant, the Broder Nord, serves brunch daily as well as a Friday night smorgasbord. 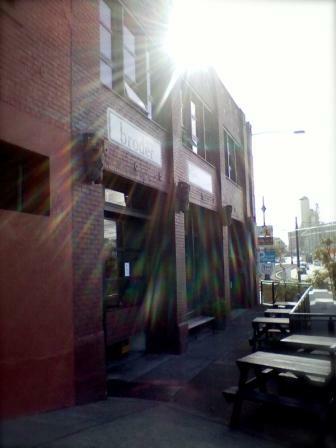 A narrow restaurant and bar with “pod” seating rooms in the back, it offers a simple Scandinavian menu of delicious food. 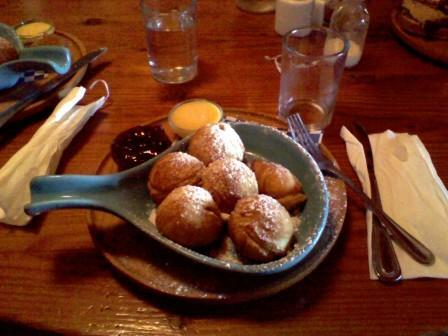 I highly recommend the Aebelskivers – they were scrumptious!